The nurse shark (Ginglymostoma cirratum) is not the most popular shark on the list of underwater photographers. They simply miss the elegance of the requiem sharks, the Carcharhinus and the hammerheads, the Spyrna. The shark has two small beady eyes, a broad snout and a small mouth, bracketed by two sensory barbels and deep oronasal grooves connecting the mouth and the nasal organs. Unlike most sharks its mouth is located in front of the eyes. 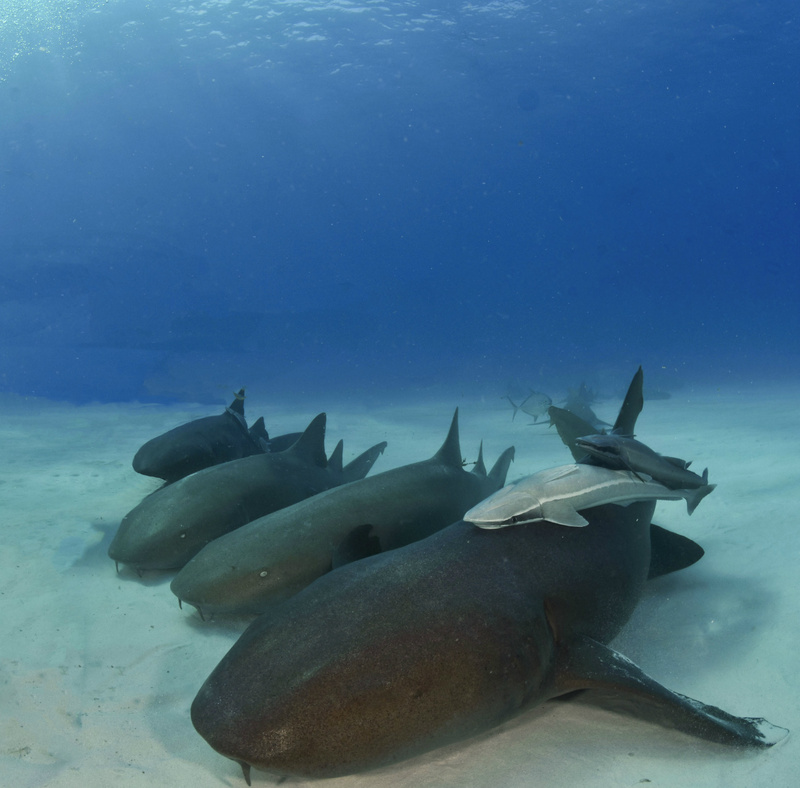 During daytime nurse sharks often congegrate on shallow sandy floors at submerged ledges or in crevices of the reef. They have a brownish spongy body with large rounded pectoral fins that they use to rest on the sandy sea floor, a long tail and two backward dorsal fins of almost the same size. Nurse sharks are ovoviparous, meaning that their eggs hatch in the mother until she is ready to give birth to a large (20-30) number or pups. The size of the pups is around 30 cm. So, the general impression is that nurse sharks are well adapted to their environment and successful survivors due to their low energy expenditure, efficient hunting strategy and large number of pups. Which probably also explains why they are still one of the most prevalent sharks in tropical and sub-tropical waters.